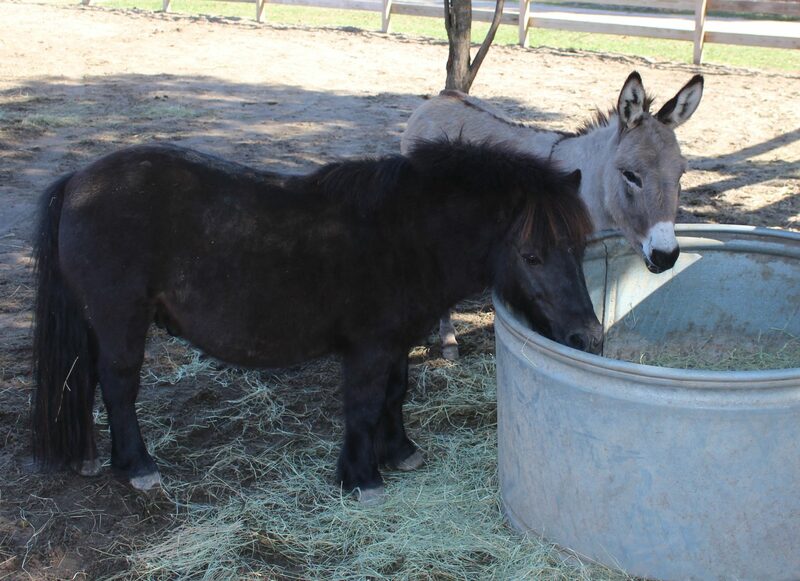 This tiny donkey was rescued by Texas Miracle Ranch [TMR] Donkey Rescue in Plantersville a few years ago. 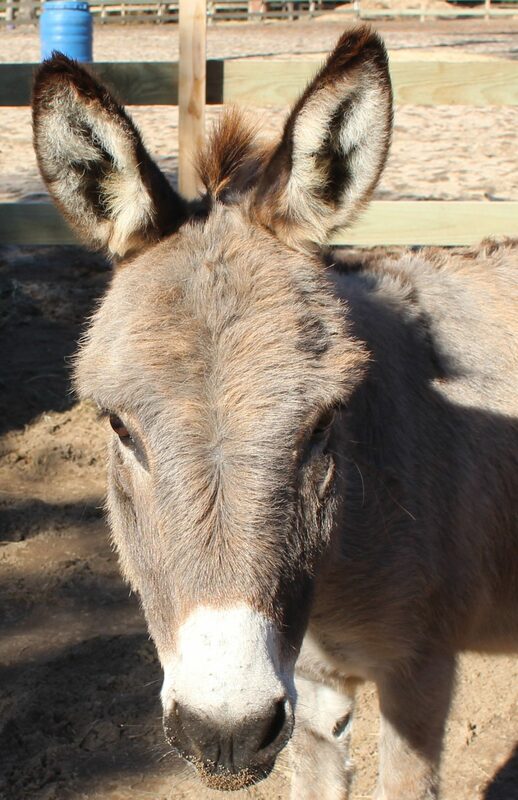 She was in a pasture with a small herd of mini jenny’s [female donkeys] at TMR but was always a bit of a loner. She was the first one who walked up to meet and greet us when we visited the ranch with Marjorie Farabee, their Equine Manager and mama to all, late in 2017. 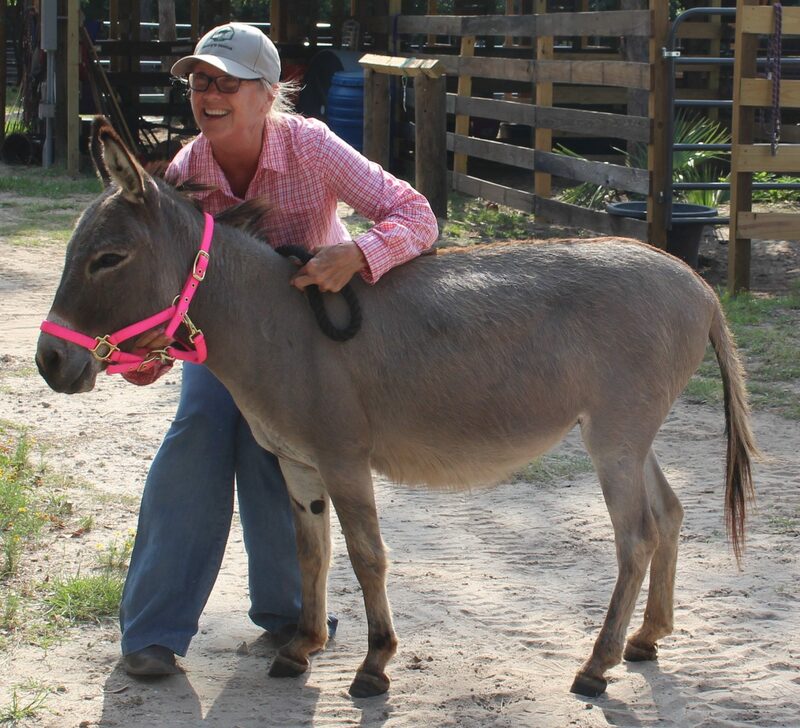 She won our hearts immediately and we decided to bring her to our herd as a mate to Willie Nelson and Mini Pearl when we went to pick up Mr. Big John. 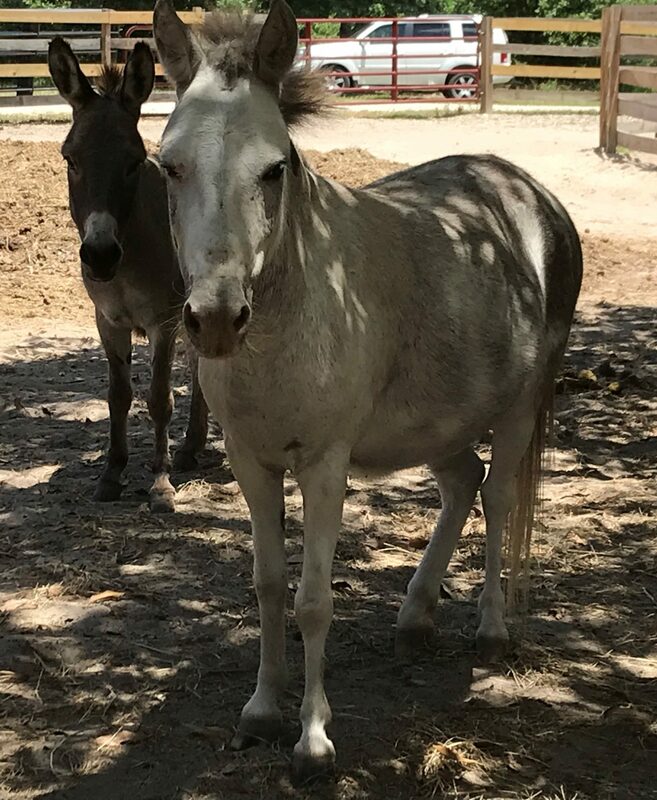 Her name was Nell, but of course joining our herd she needed a new name, so we named her Patsy Nell Cline. She remains a bit of a loner, but does not mind if Willie and Mini Pearl hang out with her, which they do. She is halter broken, but as is typical with a donkey she only comes with us on a lead rope if she can see the purpose of it. She is much smarter than the horses and is an excellent alarm system for anything that seems dangerous or new to the horses. 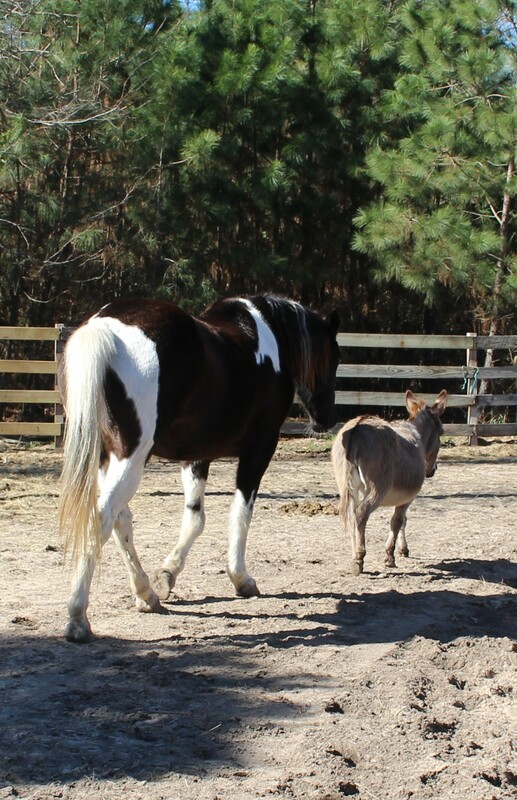 She is harder to get exercised in the round pen because she can’t see the value in running around and around, so we have to encourage her more than Willie or Mini who take very little encouragement. She is every bit as sweet as she appears. If you really want to make her happy just gently scratch the inside of her ears. She will purr and follow you around asking for more. She has the sweetest little bray when she is asking you to hurry up and get her her food at dinner time. She has us all wrapped around her little finger, or in this case her tiny hooves.